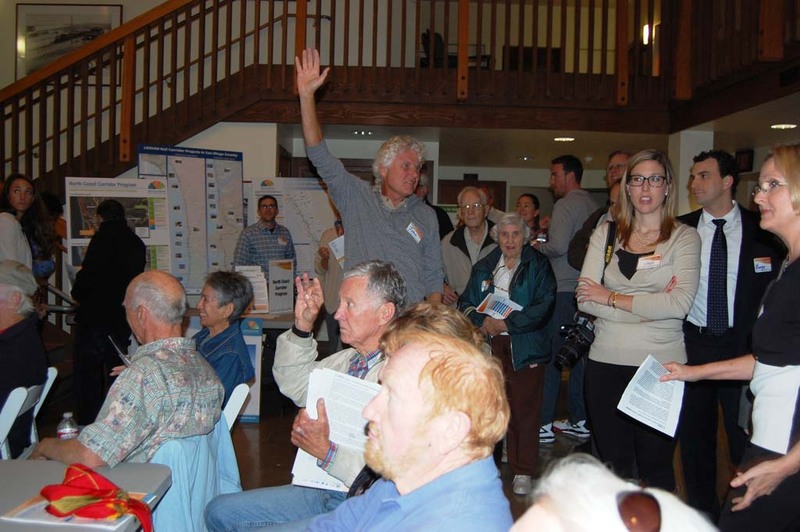 Such was the scenario at an Oct. 30 open house hosted by the San Diego Association of Governments to garner public input on plans to build a special events platform at the Del Mar Fairgrounds, double track the rail line from Solana Beach to Del Mar and replace the century-old wooden trestle bridge over the San Dieguito River. After a brief introduction, SANDAG Chairman Jack Dale invited people to visit six topic stations set up inside the Powerhouse Community Center, where they could ask SANDAG representatives, engineers and consultants questions about each aspect of the $142 million project. But the 50-plus attendees wanted a question-and-answer session. Although they were told at least twice that was not the planned format, the crowd insisted and that’s what it became. Most of the concerns were with the proposed 1,000-foot platform and the impacts from lights, traffic and noise, especially from train horns and announcements. He said the platform was designed to be fully functional, not seasonal, to accommodate 10-car passenger trains. Linda Culp, the project manager, said Amtrak runs trains that size into the Solana Beach station. She also said there were earlier discussions about making the platform 600 feet but it was designed longer to eliminate the possibility of having to extend it later. North County Transit District and Amtrak both requested that length, she said. Betsy Winsett, a member of Del Mar’s San Dieguito Double Track Project ad hoc committee, questioned the need. She cited a SANDAG handout that noted 66 percent of fair attendees said they would likely use a train platform. “But they only polled 367 people out of the (1.5) million who went to the fair,” she said. SANDAG was considering three alternatives that included an eastern track alignment with a center-loading platform and a western track alignment with side-loading. The preferred alternative is to add the second rail track to the east of the existing one with loading from both sides. Nancy Doyle asked for a definition of “special events” other than the fair and horse races. “That’s what makes us nervous,” Doyle said. There were also questions about the need to replace the bridge. Kelly Burnell, a consultant with David Evans and Associates, said the existing structure, built in 1916, was designed to last about 50 to 75 years. Councilman Al Corti noted improvements have been made through the years. The bridge could be raised up to 8 feet in some sections because it is currently in the flood zone. According to SANDAG, the project is a critical part of the 351-mile Los Angeles-San Diego-San Luis Obispo corridor, the second busiest intercity passenger rail line in the country. Double tracking will eliminate a significant bottle neck between Solana Beach and Del Mar. Culp said approximately 50 trains — 44 of them for passengers — use the rail. That number is expected to double by 2030, she said. She said local benefits include reduced traffic congestion. Some residents wondered about double tracking beyond the fairgrounds, going south, where the tracks are located along the fragile bluffs. There are long-range plans to tunnel the tracks away from the coastline. The two options are under Camino del Mar or Interstate 5, but Culp said tunneling is not part of this project. “It should be,” said some residents. 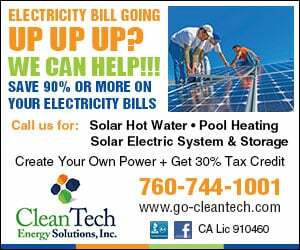 “We don’t like it,” Solana Beach residents Diane Tyson and Nancy Pagoria said when asked their opinion of the project. The women feared losing the shuttle between their city and the fairgrounds, which they said they used often to bring their grandchildren to the fair. The current project is not funded through construction. SANDAG and the California Department of Transportation have secured $9.5 million for preliminary design and environmental studies. If all goes as planned the project will be completed in 2030. “I’ll be long gone, which is good,” one resident said. Information on the project is available at keepsandiegomoving.com. Additional public meetings will be held throughout the process, but depending on where they are held, it’s anyone’s guess what the format will be.